If you’re like most business owners or managers, your company got off to a great start. Energy, inspiration, and business smarts hurtled your organization to success. Maybe you cruised on praise and profit for years, dreaming of becoming the next Bill Gates or Steve Jobs. But suddenly, you’re flatlining. Maybe you saw it coming as the economy tanked or competition gained ground but, either way, your books are like flashing red lights at an accident scene. What happened? During prosperous times, mistakes are easily camouflaged in high profits. But when the going gets tough, costly errors can sink the ship. Worse yet, mistakes aren’t always easy to spot. In The 7 Deadly Sins of Resource Management, Core Business Style founders Bruce and Richie Hunter offer their 30-plus years of combined experience to help you find the leaks, understand how they developed, reverse the process, and get you sailing on the high seas once again. What is your company vision? How does your organization manage change? What about talent and project management? Whether you’re committing just one deadly sin—or all 7—this handbook will help you identify trouble spots and get back on course with valuable strategies you can put to work immediately. Don’t wait. 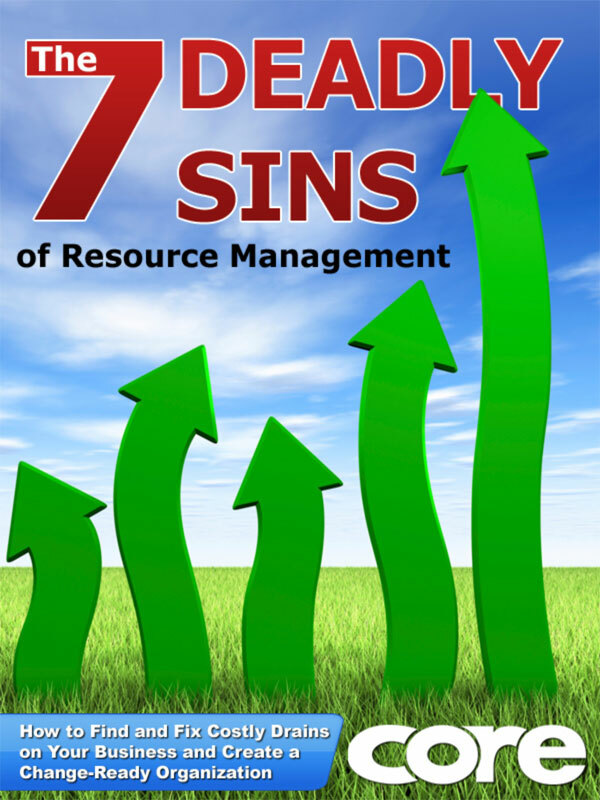 Large corporations and small businesses alike get back on track with The 7 Deadly Sins of Resource Management. Uncover and repair the issues that are draining your resources, develop clear, aligned goals and objectives for all aspects of your business, and start growing your profits once again—in any economy. You can purchase the book online from Smashwords in multiple eBook formats at https://www.smashwords.com/books/view/124077.